What does the future hold for Liverpool? Now that the dust has settled on Liverpool's thrilling victory over Manchester City, fans could be forgiven for nervously asking what’s next for the Reds? After all, as the late stages of Sunday’s game would indicate, this is a team that doesn’t always do things the easy way. In fairness, the Reds have been in impressive form of late, currently riding the crest of an 18-game unbeaten run in all competitions, which thanks to City’s loss is now the longest currently among Premier League teams. In addition, they are the in-form team of the Big Six, taking 13 points from a possible 15 over their past five league games, more than Manchester United (11), Chelsea (11), Tottenham Hotspur (11), Manchester City (10), and Arsenal (8). But despite the feel-good nature of their recent run, a multitude of pre-Christmas defensive lapses are still fresh in the memory banks, while the loss of Philippe Coutinho and the lingering and ever-growing concern between the posts is enough to prompt questions about if this team has what it takes to maintain the surge. 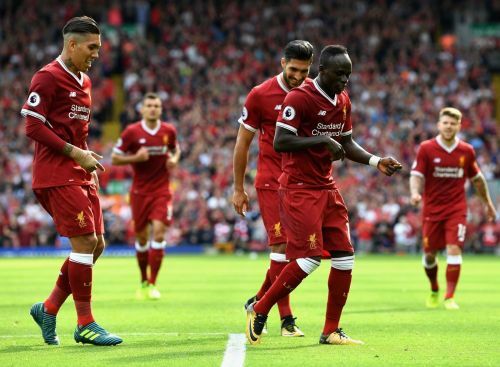 The rest of the season will provide answers as to where Liverpool are right now and it starts today when they travel to take on cellar-dwellers Swansea City at the Liberty Stadium. This is exactly the type of game they would have failed to win last season and is of the variety that has given rise to questions about not just the Reds’ defensive capabilities, but their mental fortitude. This year, if they are to continue their challenge for a Champions League spot, and if they are to convince us they have genuinely grown as a team, this is the sort of game they simply must win. Especially with Spurs hot on their heels, not to mention a Manchester United team on the verge of landing Alexis Sanchez, and a Chelsea team that is sure to be in the mix come May. At least two of the team’s biggest challengers (City and United) are substantially better this year than they were 12 months ago, while the other two (Tottenham and Chelsea) are arguably no worse. And that means the Reds have little room for complacency if they are to stay on pace for a top-four finish in what is shaping up to be a more competitive field than a year ago. 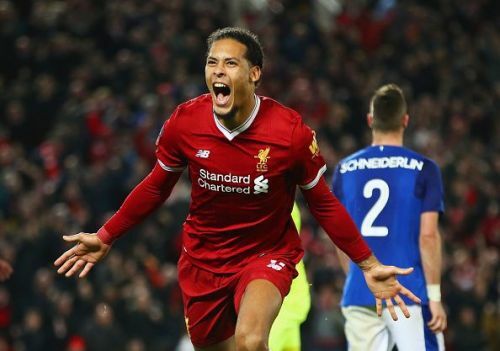 The good news for Reds fans is that they at least appear better equipped for the task in terms of personnel – especially with the acquisition of Virgil Van Dijk – and few would argue that this year’s squad isn’t better than a year ago. The squad depth is certainly deeper, even without Coutinho or any other additions before the end of January. The big question, on the other hand, is just how much they’ve matured as a team. At this stage last season, the team were in fourth with 46 points (compared to third with 47 this winter) and in the midst of a dreadful January that saw them win just one of nine games while losing four, including a pair of League Cup semifinal games against Southampton. January 2018 has been far kinder to the team and a lot less hectic, with three wins in three games thus far, and three more winnable matches to come against Swansea, West Bromwich Albion (FA Cup) and Huddersfield Town. The win over City showed that even without Coutinho, the Reds still possess a devastatingly dangerous attack, as long as they remain healthy. The arrival of Van Dijk, the return of Adam Lallana, and the rising form of players like Andy Robertson and Alex Oxlade-Chamberlain is encouraging heading into the crucial stretch between February and May. Their recent impressive form would suggest the Reds have what it takes to remain competitive.